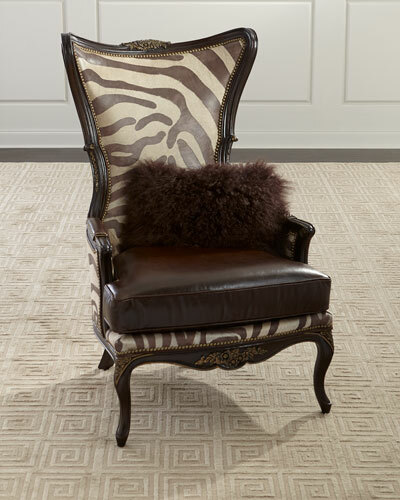 Add elegance and functionality to your home décor with luxury living room furniture from Neiman Marcus. Exquisite designs and supreme comfort highlight our living room furniture collection, which offers a diverse selection of traditional and contemporary styles. 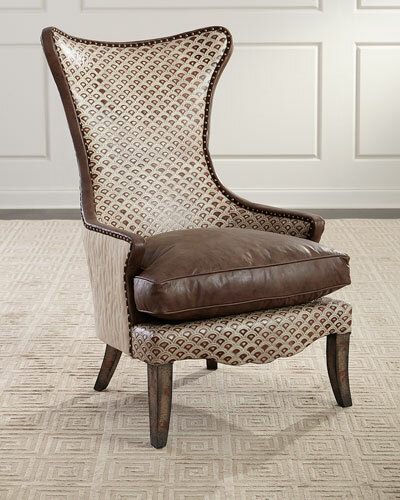 Our assortment includes luxury sofas and chairs to lend a unique character to your home interiors. 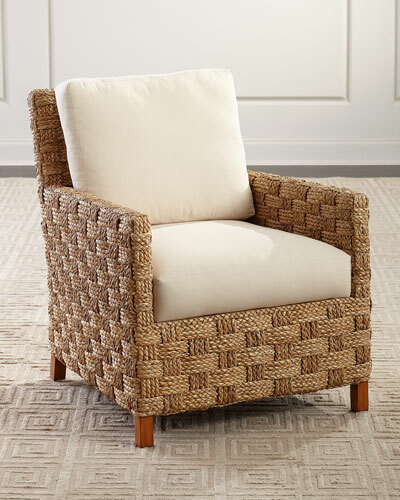 Create a cozy corner for relaxation with our settees and chaises featuring plush cushions. Get a stylish seating arrangement for your family with our exquisitely designed sectionals. 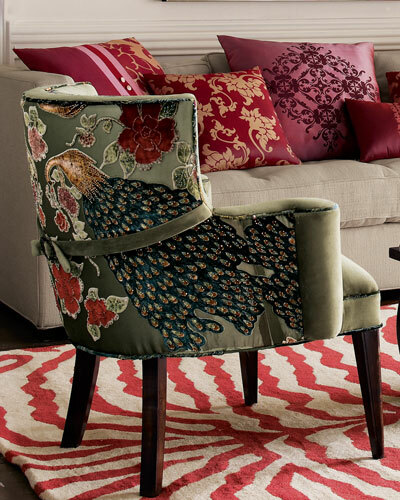 Coordinate the décor with a deluxe ottoman or bench. 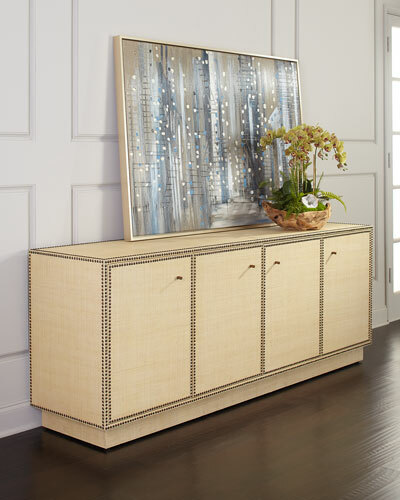 Our sideboards and consoles in neutral colors will blend seamlessly with your living room decor. 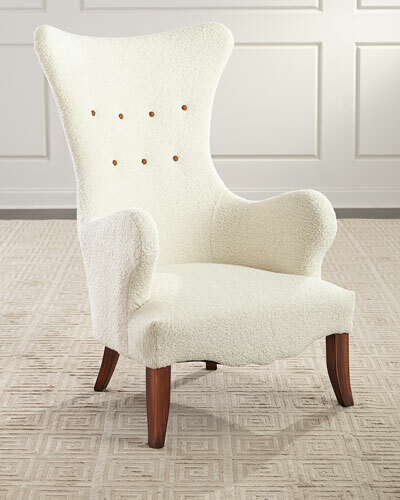 Handcrafted by the top brands, each piece of elegant furniture in our collection is made of premium-quality materials including wood, metal, and upholstery. 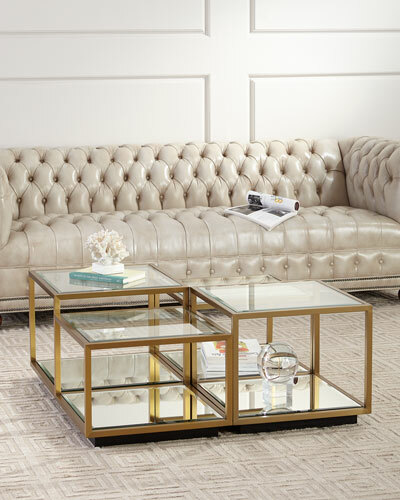 Shop Neiman Marcus for luxury living room furniture and find inspiration for the perfect living space. 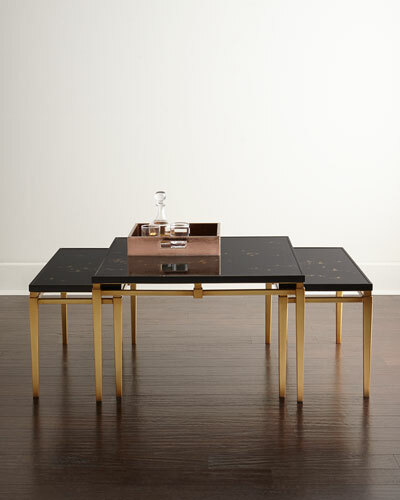 Marble-top coffee table with metal frame. 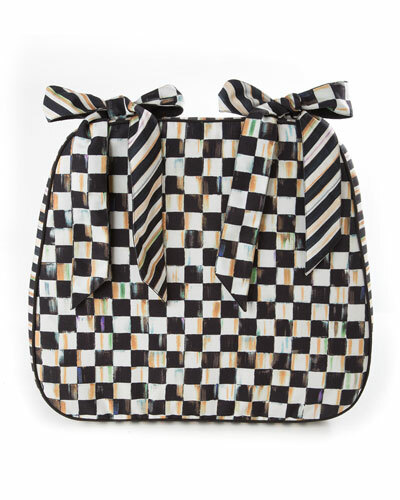 Finish and marble may vary. 35"Dia. x 16"T. Stone is not sealed; no security hardware to secure top to table base. Light assembly may be required. Imported. Boxed weight, approximately 96 lbs. Handcrafted dining table. 86"L x 46"D x 30"T; extends to 110"L with leaf. One 24" leaf included. Flat cut and quartered white oak veneers; weathered finish. Assembly required. Imported. Boxed weight, approximately 245 lbs. Side table made of select hardwoods in an antique-cream finish with silvery accents. Antiqued mirrored glass panels all around and beveled mirror on top. Two drawers (bottom drawer has two fronts). 18"W x 25"D x 25"T. Imported. Boxed weight, approximately 73.3 lbs.